I first heard about Glossier’s Boy Brow about a year ago when British makeup artist, @katiejanehughes, started using it in her pictures. When Glossier finally started shipping to the UK in October of this year I was dying to try their game-changing brow mascara for myself and in my haste, ended up ordering two by mistake! (I am, of course, subsequently thrilled haha). The taupe shade is bang on for blondes. For example, to compare it with a few others I have tried, I find Blink’s Cinnamon Spice too warm (though great for natural red heads) and L’Oréal’s Brow Artist Plumper in Light/Medium a bit too yellow and unnecessarily shimmery. Charlotte Tilbury’s Legendary Brows in ‘Linda’ a comes close second in terms of an appealing ashy-taupe, but I am not sure the teeny, tiny brush (despite being extremely satisfying in catching every fine hair) is worth the extra fiver. The brush is a terrific size and the bristles which form the spooly head are not too deep. It is neither glossy nor extremely matte, leaving brows in position, but with a realness to them. In line with Glossier’s cool girl vibe, Boy Brow is intended to be applied a bit nonchalantly (i.e. 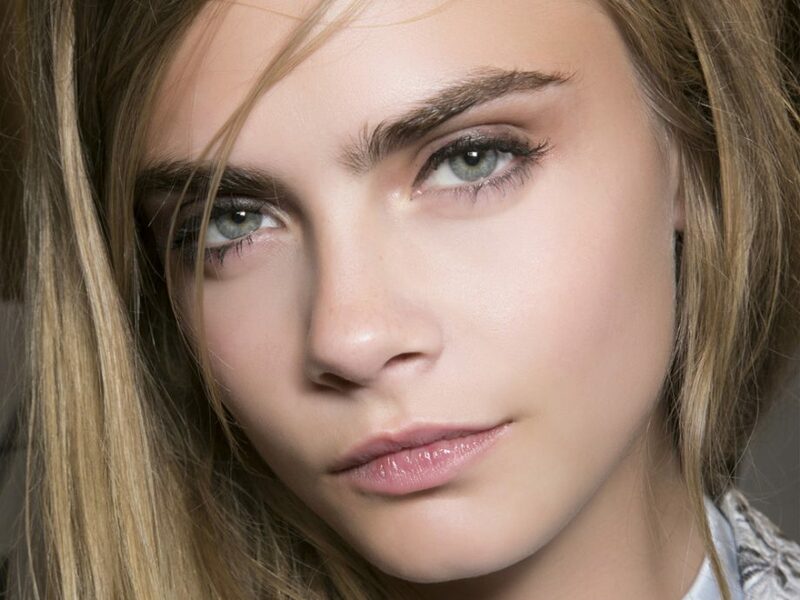 brush gently through brows for a light groom). As its name suggests, it has a certain tom-boy quality to it which greatly appeals to me, being completely obsessed with the no makeup look. There are times, of course, when an evening occasion calls for a defined and perfected brow, in which case I will invariably reach for a pencil or powder but for daytime, a groomed and healthy brow is all that is needed. On the days I wear Boy Brow (I do not wear it everyday because that would be boring), my brows feel fuller, slightly defined (though the secret it not to define them too much) and to my mind, they always look healthier. It is my final step in my ‘no makeup makeup’ routine before I walk out the door. I also find when wearing Boy Brow that I can get away with less eye makeup (brushing up ones’ brows can help to frame the face which, in turn, lessens the appearance of tiredness). Unlike other brow mascaras, Boy Brow does not contain fibres to boost thickness, but despite this, I find its creamy wax formula suitably thickening. It is a formula which does not leave brows stiff or flaky (a real bug bear), but rather retains a light flexibility which feels more comfortable as the day progresses. It is also buildable meaning one can dial up a daytime look for night with simply another brush through if time is of the essence. Of course, if during the 70s, 90s or early Noughties you plucked your eyebrows to oblivion (I certainly dabbled in my teens and early twenties *shudder*), you may need to bring in the bigger guns, aka, a brow pomade with angled brush or a good quality, waxy eye pencil. Once you have traced your brows back in, a few upward strokes of Boy Brow will catch any remaining hairs, thickening and tinting them. If the thought of having to do that daily does not appeal there is always microblading (if I were to get this done, I would not hesitate in going to see this lady in Southgate). $16.00 USD (approximately £12.00. On Glossier’s website you will not see the final Sterling price until you checkout). Glossier.com. Shipping is free when you spend over $30.00 USD and be sure to use the 20% discount code I supplied in my recent Glossier review! Anyone really. Teenagers will love you forever. Friends and sisters who prefer the natural, no makeup look will absolutely love this product. Could work on mums but depends how their natural brows have fared over the years!